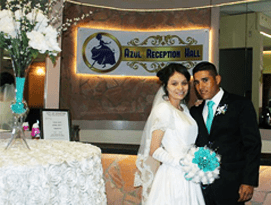 Photography and Video are one of the most important services of our events at Azul Reception Hall and that’s why we have selected the best known photographers in Houston. We have created a special photo & video pricing package and can customize the package to meet your taste and budget. Our hand selected photographers have been providing services for many years and we only use the best to ensure the highest quality of photos are provided to our customers. Your fond memories are etched in the photos and video taken on that special day so having the best photographers should be one of the most important choices you make.